The development of the cluster’s scientific strategy will require external input. The cluster has in addition compiled an external SAB to also assess the cluster performance and advice in specific questions. 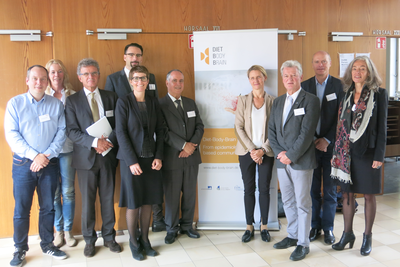 DietBB Advisory Board members meet our Steering Board on the Status Meeting last Ocotber 2016 in Bonn.